According to FDR, Education was the key to a country’s survival. True then. True now. Lest we all forget (and there are times I think we have), Education has played an overwhelmingly crucial role in the successful life of any country. As part of the New Deal, it was at the forefront of many Social and Economic programs in the 1930s brought about by President Roosevelt. 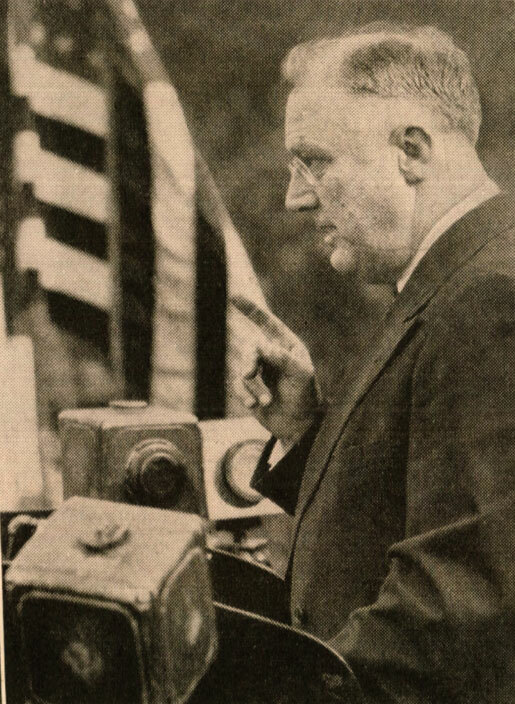 During his 1938 tour of the U.S. he spoke at the annual meeting of the National Education Association, who held a rally on the under-construction 1939 Worlds Fair site on June 30, 1938. President Roosevelt: “The only real capital of a nation is its natural resources and its human beings. So long as we take care of and make the most of both of them, we shall survive as a strong nation, a successful nation and a progressive nation- whether or not the bookkeepers say other kinds of budgets are from time to time out of balance. This capital structure—natural resources and human beings -has to be maintained at all times. The plant has to be kept up and new capital put in year by year to meet increasing needs. If we skimp on that capital, if we exhaust our natural resources and weaken the capacity of our human beings, then we shall go the way of all weak nations. So as a reminder that the need to maintain and advance the cause of education in our country still, to this day, is of vital importance. And that the current state of slashing and undermining budgets for education is doing nothing but to insure a future disaster for the country at large. Here is that complete address by President Roosevelt, as given at the site of the New York World’s Fair – June 30, 1938. Selective amnesia at your peril. With the first open and democratically held elections in Pakistan in several decades coming up this Saturday (May 11), I ran across this very early interview, less than three years after independence was declared for Pakistan and the neighboring India. 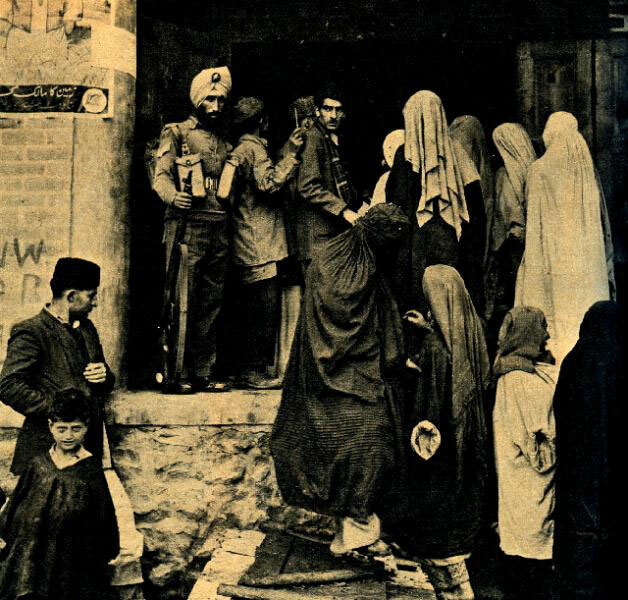 In this discussion, from the program Today With Mrs. Roosevelt, Pakistan Prime Minister Liaquat Ally Khan discusses the recent dispute with India over the area known as Kashmir. Also discussed was the future of this newly independent nation and, because of its strategic place on the map (bordering India, Iran, Afghanistan, partially bordering Russia, Nepal and China), how was it going to deal with the Communist influence by way of the then-newly established Peoples Republic of China. In marked contrast to what’s going on now, it’s interesting to hear the status of this newly emerging nation by one of its founding fathers. Doubtless, a lot has changed in Pakistan over the years – now dealing with the unsettling presence of the Taliban, who are doing their level-best to disrupt the election process. It will be interesting too, to see what emerges in the coming days and how closely it resembles, or doesn’t , the original plan for the former colony. Here is that interview, featuring Eleanor Roosevelt with Prime Minister Ally Khan, Khan’s wife and Assistant Secretary of State George C. McGee, originally broadcast on May 7, 1950. And the coming bane of Western Culture; Television. Your typical week, as far as the Fabulous 50s are concerned. This week, ending on April 15th in 1950, was no different. The Cold War was ratcheting up a few notches with word of a downed U.S. Navy Plane somewhere in the Baltic region. Radio Moscow reported it was a B-29 that had been shot down by Soviet Mig’s. But the story was later recanted to report it was a stray U.S. plane that had been “taught a lesson” for intruding on Soviet air space, and the fate of the 10 crewmen wasn’t known at the time. Domestically, visiting Irish Prime MInister Sir Basil Brooke chided the press, saying a rumor was circulated that Ireland had banned St. Patricks Day Parades. Brooke said no such thing happened, but one did get banned out of fear of starting a riot. Baseball season started, and Joe DiMaggio added his two cents on who he thought was going to be the big news story of 1951. A wedding in Spain, with Gen. Francisco Franco’s daughter Carmen heading down the aisle. The Supreme Court ruled against an appeal by The Hollywood 10, upholding convictions of 10 writers accused of Communist activity. The Red Scare was alive and well and ruining lives. John D. Rockefeller jr. celebrated 50 years of taking care of Dad’s business with a rare interview. And, in addition to Hollywood’s worries over Communists, it was now worried over the coming of Television. The studios were quick to offer doing movies for TV, but it was the exhibitors who were screaming loudest. And the thought of movie palaces being turned into Supermarkets, liquor stores and parking lots, loomed very large in their minds. All that . . .and word of the death of celebrated composer Kurt Weill was announced. One of those weeks, as reported on NBC’s Voices And Events for the week ending April 15, 1950. October 16, 1949 – The Cold War Comes Home, Nehru Pays A Visit And How To Love The Atomic Bomb. Convicted members of the U.S. Communist Party – after 9 months, working on an all-out ban. 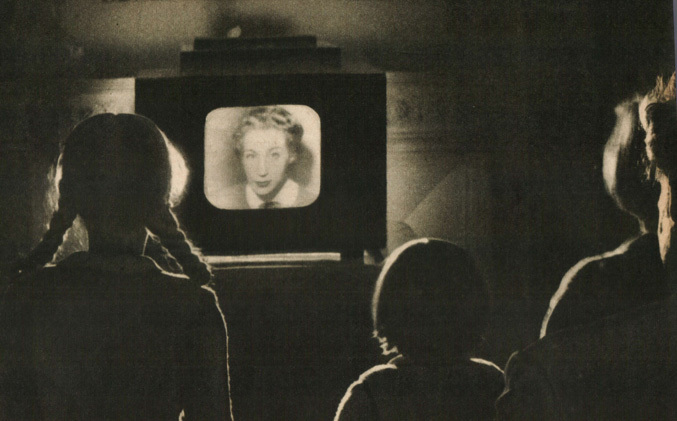 This week, ending on October 16th in 1949 was about news bringing the Cold War closer to home. With the verdict in, regarding the presence of the U.S. Communist Party (a party which had been legal since it’s founding in the 1920’s), the U.S. was one step closer to an outright ban of the Communist Party in the U.S. and all its activities. Meanwhile, on Capitol Hill, the Senate was holding hearings on the future of the Atomic Bomb, with some testimony coming in via the Navy that an Atomic Bomb blast was relatively harmless – citing a hypothetical argument that, if a bomb was detonated on one end of a North-South runway of National Airport, a person standing on the opposite end of the runway, wearing no protective clothing, would receive little or no damaging effects from the blast. The statement was met with a goodly amount of incredulity by members of the committee. And when clarification was requested with respect to the Hiroshima and Nagasaki blasts, the proverbial “I’ll get back to you on that” was given. Things were continuing to heat up at the United Nations, with long and heated blasts at the U.S. from the Soviet Union. Under less insane circumstances was a visit to Washington and an address to Congress by Indian Prime Minister Jawaharlal Nehru and pledges of support. Also on the broadcast, part of the Voices and Events series for the week, was a re-cap of voices from Politics past, featuring excerpts of addresses by Al Smith, Fiorello LaGuardia, Huey Long, “Cotton Ed” Smith and many others. A reminder that Politics has always been just a little skewed. And ending the week was a story on “Swindlin’ Sam” Engle, or “The White Haired Woo-Maker” who was convicted of swindling large amounts of money from wealthy widows and sentenced to prison for his deeds. Upon his release this week in 1949, he immediately ran into trouble with his former attorney who insisted he be under the watchful eye of an armed guard – and fists flew. Gotta love it. And so went this week in history as reported on Voices And Events for October 16, 1949. They couldn’t get affordable health care either. As a reminder of just how long the debate over affordable Healthcare has been going on, here is a panel discussion and Q&A from December 4,1941, featuring Dr. SS. Goldwater, City Hospital commissioner for New York, Margaret Bourke-White, the photographer/social chronicler. Howard Cumley from the Association of Manufacturers, and Eleanor Roosevelt, first Lady. The panel, from the radio program “America’s Town Hall of The Air” centered mostly on the state of health of most Americans. Seems we were a rather flabby bunch in 1941, judging from the large number of rejects from the Draft Board (remember, this is 3 days before Pearl Harbor and the start of our involvement in World War 2). But the subject was also health care for everyone, regardless of ability to pay. The first half of the program (a little over 30 minutes) is given over to statements by the panel, but the second half is a question and answer period from members of the audience. Question: Do you feel Socialized Medicine would benefit the American public? 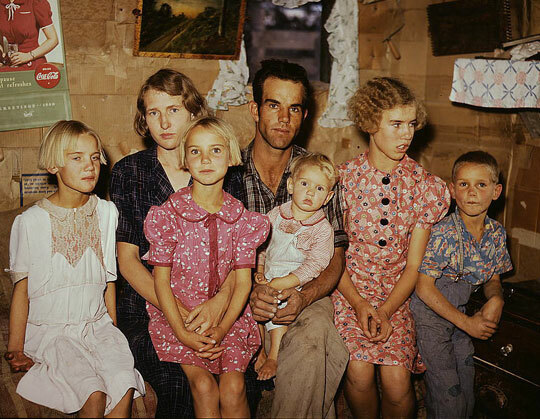 Bourke-White: Yes, I feel it would. I know there are many objections, sometimes from private physicians who don’t wish to lose their practice. Sometimes from private hospitals who don’t wish to lose their clients. But I see no reason why some form, at least from Medical Insurance or Hospitalization Insurance can’t be put into effect. And people who can afford to go to their own physician, people who can afford to go to their own hospitals, still can continue to do so. The people who can’t possibly afford treatment or perhaps could afford it at one time, can still be taken care of. Roosevelt is staunchly for some form of Universal Healthcare, but in lieu of the fact that war was literally days away, it was an idea that had to be shelved until it was over. By then of course, the albatross had grown and it was Truman’s headache – and every President since then. Newstalgia Reference Room – Today With Mrs. Roosevelt – 1950. 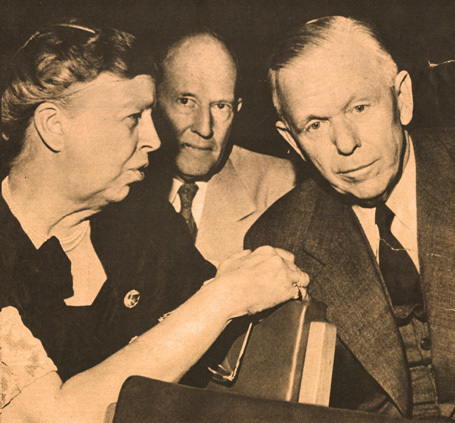 Eleanor Roosevelt (with George C. Marshall) Citizen of the World. July 18, 1940 – Hard Times And Hardliners. | Newstalgia. Nary a whiff of scandal, this day in 1940. Just a war going on.